This wedding was designed to capture the frosty feeling that is in the air on the first of December. Frosty votives, silvery accents, and crystals all lend to the desired atmosphere. 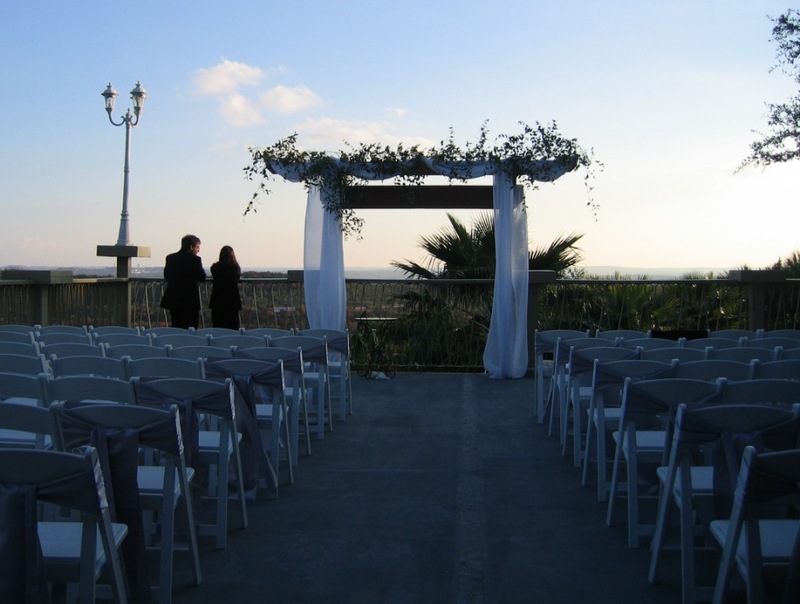 The ceremony was timed to finish with the sunset…beautiful! 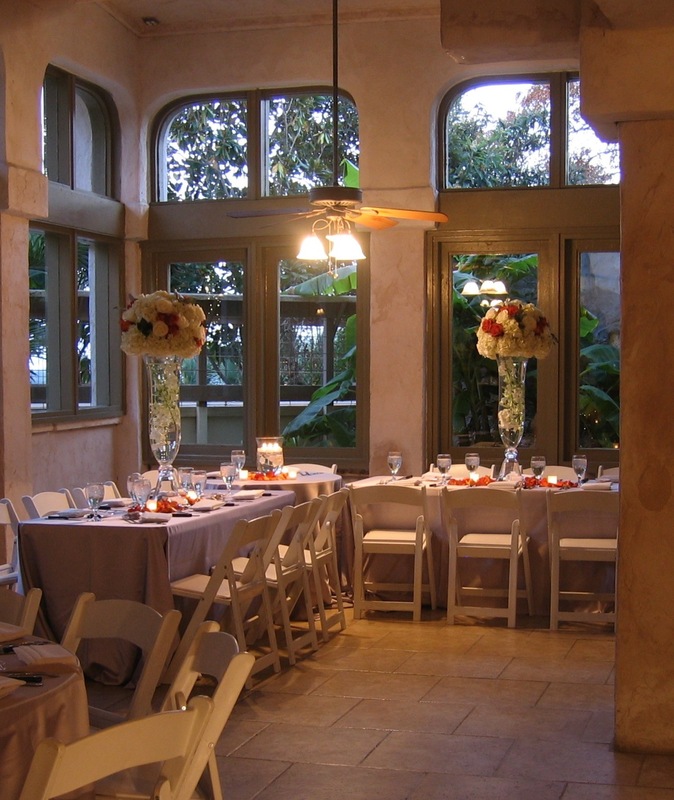 Love the soft greenery and sheer, flowing drapes of the arbor. Silvery gray chair ties subtly accent the aisle. 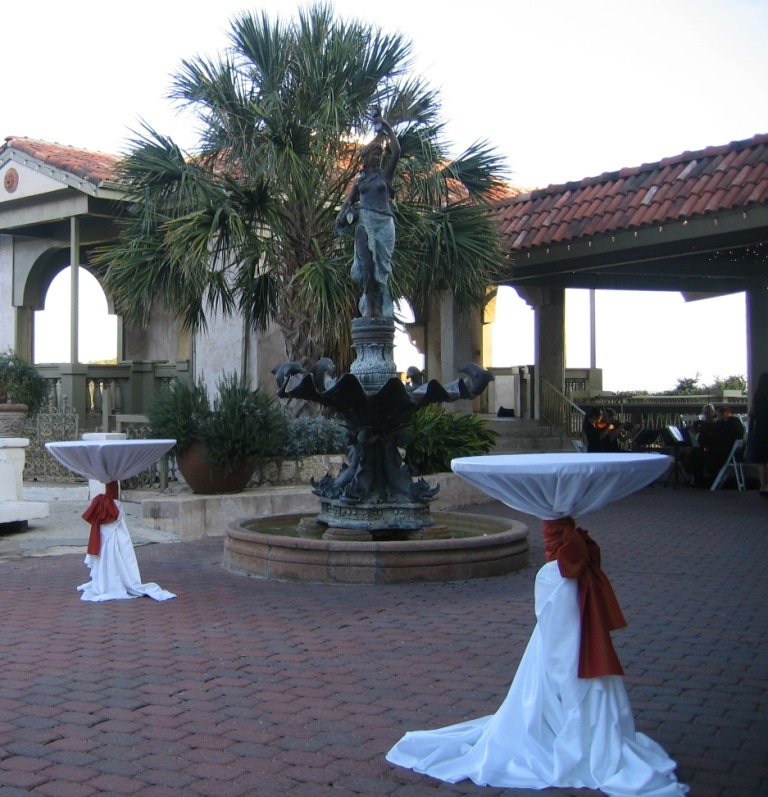 Outdoor cocktail tables were later moved into separate venue for dancing. 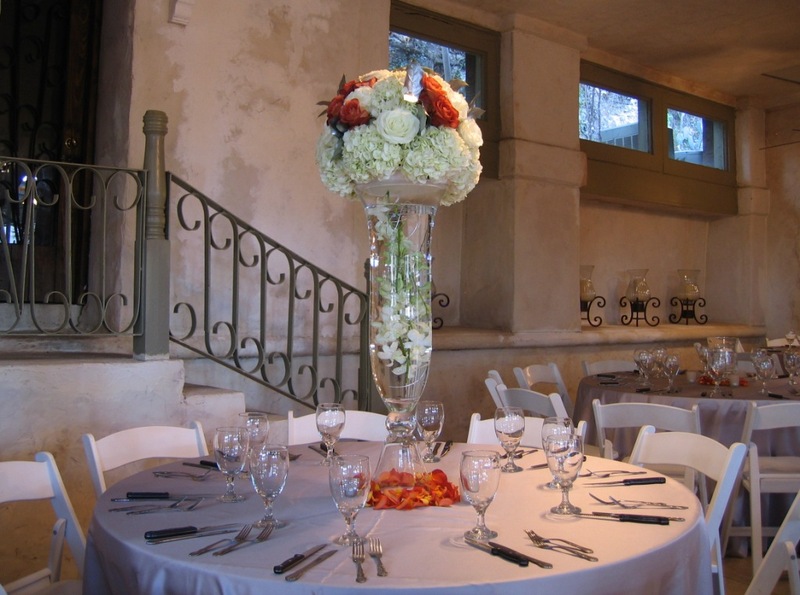 The white linen perfectly reflected the colors chosen by lighting professionals. 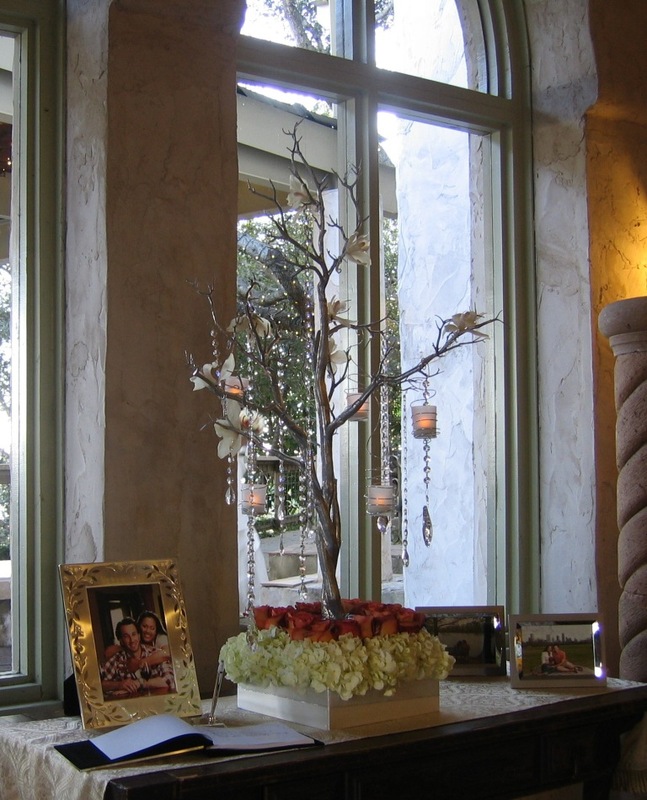 Pretty silver and crystal tree touched with orchids and frosted votives catches the eye and beckons guests to sign in. Swarovski crystals sparkle! 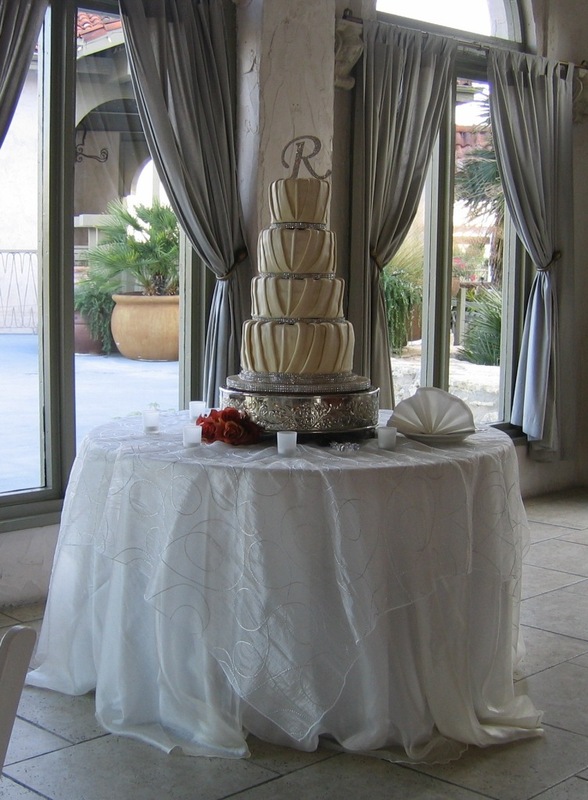 Brushed gray satin linens are the perfect foil for dramatic centerpieces with orchids, mocha roses and silvery leaves. Mocha petals, spray orchids and frosted votives give the eye something to feast on as guests enjoy their dinner. Layers of shimmery linens (don’t you love how they softly drape?) and mocha roses accentuate the gorgeous pastry creation by Casey Rogers of Brides Table. Linens by Marquee.